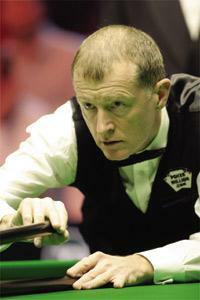 Steve Davis... magic snooker in the 80`s. Only two weeks to go and the island renowned for its knights will host the Masters of the Green Baize for one of this year's main challengers on the World Snooker Main Tour - the third edition of the Malta Cup. This event is one of only two Main Tour tournaments outside the United Kingdom this season. Yet, the prime significance of this edition is the fact that the 2007 Malta Cup will be the 200th world ranking tournament organised by World Snooker since 1976. It is true that the rankings started 31 years ago but the previous three years World Championships were used to work out placings. So, the first list was based on results from the 1974, 1975 and 1976 World Championships. When the rankings were introduced Ray Reardon, who dominated the sport in the 1970s, winning six World Championships in that decade, was the first number one, retaining that position until 1980/81. For a few years the championship was the only ranking event held but from 1982 the number of tournaments began to increase and in 1989 the first ranking event outside the UK was held. This was won by John Parrott who incidentally was also the winner of the first ranking event held in Malta in 1996. The past 199 rankings held over a period of 33 years produced 41 different winners with three players, in particular, leaving their mark on each of the past three decades. These were Reardon who dominated the 70's, Steve Davis who was magic in the 80's with Stephen Hendry who was amazing in the 90's. As years went by snooker gained further recognition both with increasing number of followers and most significantly also with important sponsorships. Undoubtedly a determining factor in the promotion of the sport was television and more effectively colour screens. In fact, from 1978 the BBC started providing major TV coverage to the sport which over the years contributed to make snooker internationally followed and played. As the game progressed the number of high-quality players increased which brought about more tough competition making the game more spectacular and rewarding. The first ranking event taken into account, the World Championship of 1974, had a total prize-fund of £10,000 with the winner getting £2,000. In 2006 the 'Worlds' had a total prize-fund of £896,240 with £200,000 going to the winner and £100,000 for the runner-up. A further £147,000 was on offer for a 147 (TV) break. The Malta Cup line-up of participants is made up of the world's top 16 and 16 other qualifiers. Sixteen of those on this Malta appointment are on the elite list of 41 past rankings winners, who between them cherish 152 title victories. At the top of this famous representation is snooker's supreme star, Hendry, winner of the first Malta Cup in 2005. Also present will be holder Ken Doherty. The Malta Cup is organised by Snooker Promotions (Malta) and sanctioned by World Snooker, while the Malta Tourism Authority, Air Malta, Hilton Malta and Vodafone Malta are the main local sponsors. The Hilton Conference Centre in Portomaso will be hosting the 36-match tournament between January 28 and February 4. More details on the tournament's official website www.maltacup.org.